The Manchester City stars have returned from international break ready for an intense final push at the business end of the season. We start in Scotland where loanee Patrick Roberts has been celebrating SPL title success with Celtic. His side thrashed Hearts 5-0 on Sunday afternoon to clinch Celtic’s sixth consecutive Scottish title with eight games to spare. Roberts was sensational once again as he bagged a goal alongside picking up two assists for a brace of goals dispatched by former City winger winger Scott Sinclair. The current loanee has been integral in Celtic’s title push with 4 goals and 6 assists for the season and has become a fan-favourite at Parkhead. The Scottish title marks Roberts’ third competitive honour and as his loan comes to an end, it has become a major topic of discussion of where his future lies. 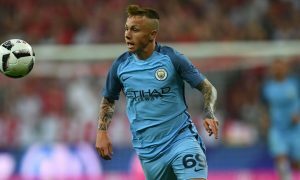 Roberts has recently been quoted refusing to rule out a third loan to Celtic but it raises the major question of whether Roberts is ready to make the step up to the Premier League with City, a debate which has been a topic of discussion here at City Watch. In England, Jason Denayer’s relegation woes at Sunderland have deepened as a result of Miguel Britos’ late winner for Watford in their key clash at the weekend. Denayer completed 90 minutes for the Black Cats, however was unable to prevent his side from falling to their 19th defeat of the season. In the EFL Championship, Aaron Mooy’s Huddersfield suffered a setback in their promotion push with the Terriers stunned by Burton’s late winner at the John Smiths Stadium. The Aussie midfielder who was recently named in the Championship Team of the Season featured for the full 90minutes and impressed once again for Huddersfield. 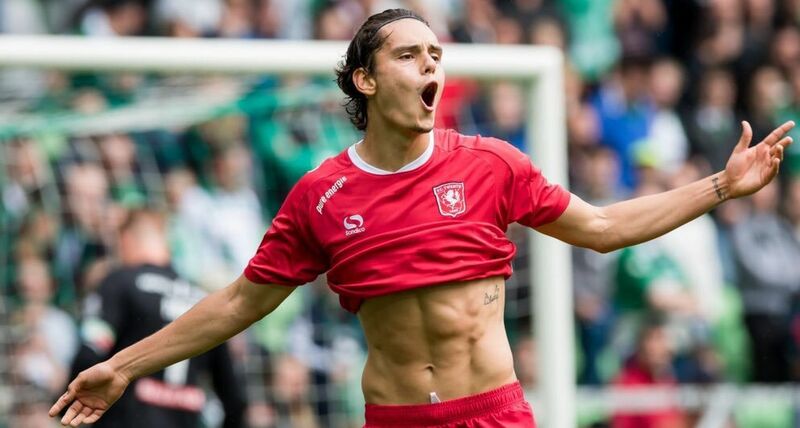 In Holland, Enes Ünal continues to receive the plaudits as his goal against Go Ahead Eagles increased his tally for the competitive season to 15 goals. The 19-year-old was on the scoresheet with a goal from close range on the edge of half-time but his side fell to a disappointing 2-1 defeat to Go Ahead Eagles. Bersant Celina featured once again for FC Twente and was subbed off after 81 minutes while Ghanaian winger Yaw Yeboah was brought into action after 74 minutes to help force a late equaliser. In the second tier, affiliate side NAC Breda continue their late promotion surge with a remarkable 4-0 victory away at top of the table VVV Venlo. The result marked NAC Breda’s fourth consecutive victory and has tightened the gap at the top of the table. Now, only a point is the difference between Volendam in 3rd (57pts) to NAC Breda in 7th (56pts). The Manchester City stars were at the front of the action once again as Manu Garcia and James Horsfield both claimed an assist each to help secure NAC Breda’s biggest win of the season. In Spain, two of the Manchester City loanees’ sides faced off against one another as Deportivo travelled to Valencia. Eliaquim Mangala missed out through suspension as Valencia picked up a vital 3-0 victory against their fellow relegation candidates. Former West Brom manager Pepe Mel, now the manager of Deportivo, decided to throw one final roll of the dice and bring on Marlos Moreno who has been limited in opportunities for the Spanish side this season. The Colombian winger’s development has halted as a result of his minimal game time in Spain, however with the recent appointment of Mel, the 19-year-old could see his chances improve as he picked up 20 minutes of action at the Mestalla. In the Segunda, affiliate side Girona suffered another setback in their promotion push with their 3rd consecutive defeat of the season. Pablo Maffeo featured for the full 90 minutes as Girona were beaten 3-1 at home to Rayo Vallecano. Girona remain second in the league, now only 6 points clear of 3rd place Tenerife. Meanwhile, Angelino’s relegation fears at Mallorca deepen as his side fell to a 1-0 defeat at Alcorcon in a relegation 6 pointer. Mallorca sit 21st in the table, now 5 points off safety with 10 games to go. A similar story was recently evident with Olivier Ntcham at Genoa. The Frenchman was effectively frozen out of the side during Ivan Juric’s reign but since the appointment of Andrea Mandorlini, the promising central midfielder has become a regular in the first team. Unfortunately, at the weekend his side were thrashed at home by Serie A revelations Atalanta 5-0. The holding midfielder was replaced after 55 minutes as Mandorlini attempted to prevent the onslaught from Atalanta as they produced their performance of the season at the Stadio Luigi Ferraris. In Turin, Joe Hart’s wait for a clean-sheet continues, the current England number one hasn’t kept a clean-sheet at home since December 22 and his side shipped another two goals against Udinese. Torino have one of the worst defensive records in the league, conceding 50 goals from 30 games.